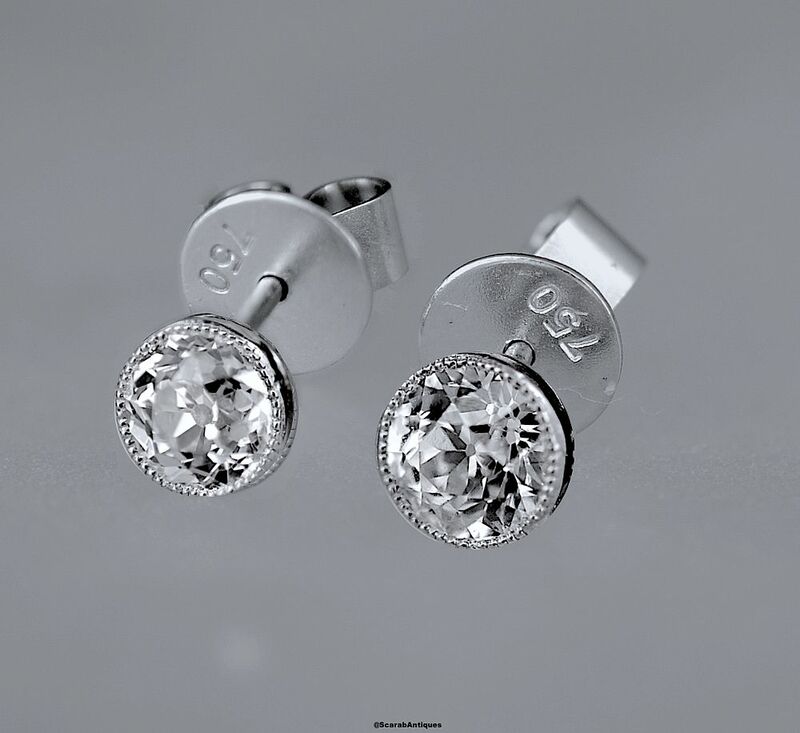 Another pair of fabulous fine quality diamond studs! Each round diamond is set in a mille-grained rubover platinum setting above a post for pierced ears. The butterflies are in 18ct white gold.